Learn how to easily customize your Avada powered website by visually editing each element. You'll just need to install and activate the CSSHero WordPress plugin. 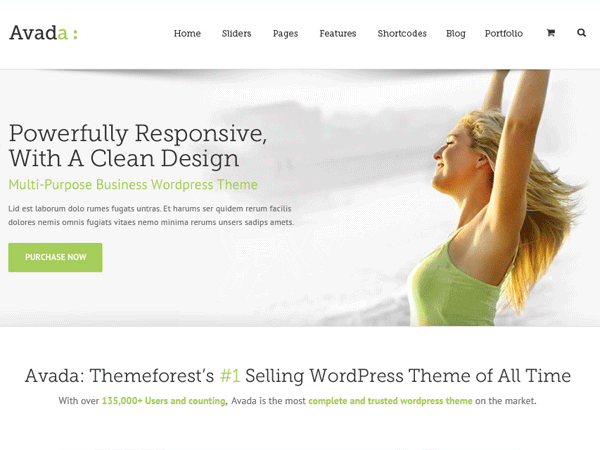 Theme Fusion’s Avada has been voted the #1 Best Selling Theme for three years – and for good reason! It features a plethora of powerful customization options, a responsive framework, and premium-quality support with each license making it one of the most trusted themes available for WordPress sites. With over 230,000 satisfied customers, Avada continues to amaze us with its advanced option management functionality. 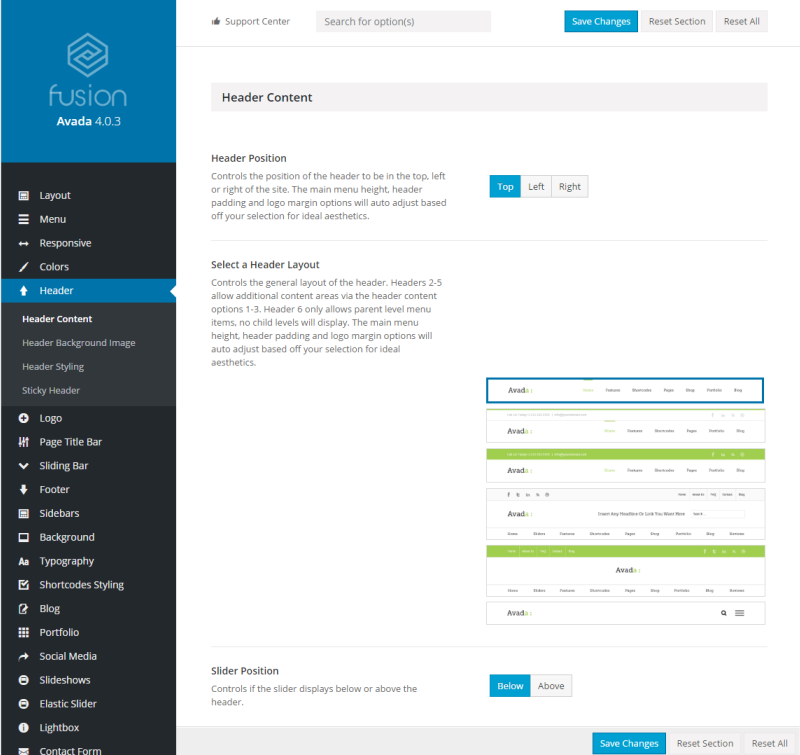 Avada packs Fusion Theme Options, Fusion Page Options, and the Fusion Builder together into one mega theme that enables webmasters to leverage an advanced network of options to create a truly unique website. The unlimited design options allow web designers to create virtually any kind of style and save them from having to install multiple themes for niche sites. Avada’s more than responsive design allows users to pick from one of two site widths – boxed or wide – and rest assured that it’ll look amazing on any screen size. Avada has over 18 design styles that are built with the theme’s core options and require no additional coding on the webmaster’s part. These professionally crafted designs give users a head start in setting up their website and allow them to make custom modification wherever they see fit. With CSS Hero, you can supercharge your website’s design, appearance, and layout in minutes. The powerful plugin now integrates seamlessly with Avada allowing you to customize element colors, typography styles, and backgrounds to match your brand. Configuration options for one-page parallax layout. Built-in widgetized MegaMenu with support for maps, images, and forms. Support for Fusion Core, Fusion Builder, and Fusion Options. Advanced admin panel for quick customization. Retina ready display that looks great on high-resolution screens. Built-in shortcode generator for simplistic designing power. Pre-integrated one-click demo content importer. Customization options to set site width. Auto theme updater for new updates. Tons of options for headers, sliders, icons, skins, portfolios, widgets, and forms. Navigate to Avada > Theme Options to access Avada’s built-in options system that allows you to customize everything from the theme’s layout to its background and sidebars to its responsiveness. With Avada, you can pick from one of six different header options and their height, header padding, and logo margins will adjust accordingly. 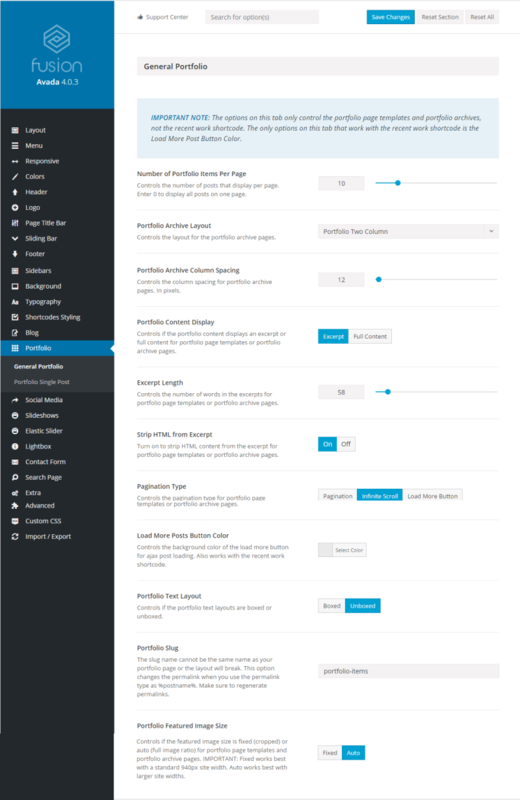 Configure a custom header style with Avada’s Theme Options. Users can position their headers, set the slider position, pick header background images, and configure sticky header settings according to their own preferences. Some of the headers allow child levels while others only support the addition of content areas. Avada’s built-in portfolio functionality saves webmasters from having to install third-party plugins. Users can showcase their work effectively with a fully customizable portfolio module that allows the modification of each part of the portfolio including layouts, excerpts, custom categories, elements per page, and sliders. Avada’s all-out portfolio allows agencies and freelancers to showcase their projects. To set portfolio settings for your website, navigate to Avada > Theme Options > Portfolio to get started. Webmasters can configure both general portfolio settings or dive deeper and modify the single post portfolio settings. Although Avada’s customization options are definitely something to rave about, CSS Hero gives webmasters that extra control over each page element that sky-rockets your site’s appearance. If you’re ready to supercharge your site then our CSS Hero plugin is fully compatible with Avada to help you start live editing. CSS Hero on Avada makes it infinitely easier to customize your site while you preview the changes in a live environment. That’s a double win!